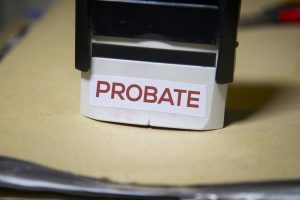 Probate is the term for a legal procedure that is used to settle a decedent’s estate, when they have not taken the appropriate estate planning precautions. It is a process through which the court validates the will if one existed, appoints an administrator if there was no will, or grants authority to the executor if there is a will. This process ensures that the property is distributed, that taxes are paid and also enables the legal transfer of the ownership of the property. All of a person’s property is subject to probate proceedings whether or not a will exists, except for that property that is put inside a trust, property subject to a transfer on death deed, life insurance proceeds, payable on death accounts or property owned in joint tenancy with another person. The property outlined in these categories automatically passes to the joint tenant, the trust beneficiary or the designated beneficiary – although it could still be subject to estate and inheritance taxes if you have not taken the appropriate estate planning precautions. Consulting with a knowledgeable estate planning lawyer can give you a better overview of the types of stages that estate planning requires and how you can get the benefits provided by someone who can help you select the strategies and tactics necessary for protecting your interests.